"An astounding, crucial work…" Drafthouse Films has unveiled the full theatrical trailer for their upcoming release of The Look of Silence later this summer. Drafthouse has been holding onto this highly acclaimed documentary since it premiered at festivals last year, opting to wait until this year to give it a push. The Look of Silence is documentarian Joshua Oppenheimer's follow-up to his Oscar nominated doc The Act of Killing, about the 1965 Indonesian genocide. Before that film was released, Josh returned to Indonesia and spent time with an optometrist who speaks directly to the killers, confronting the very men who took away and murdered his brother. It's a harrowing, stunning, powerful documentary that you need to see yourself. 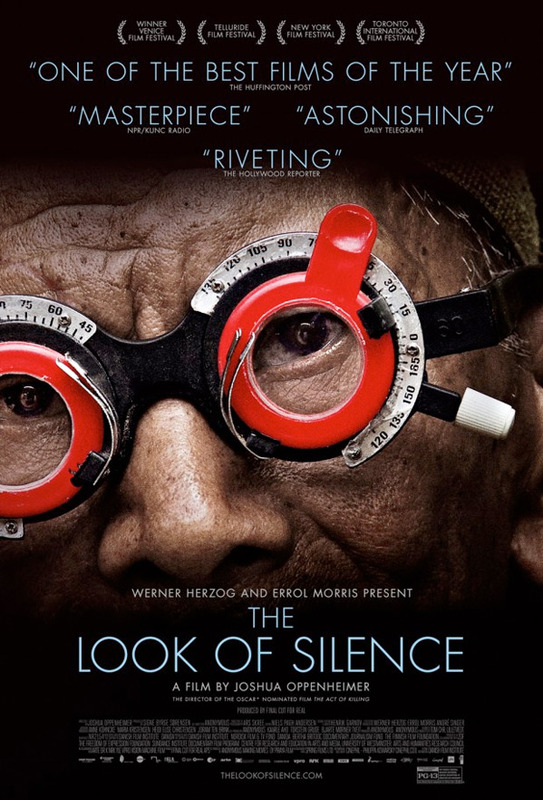 The Look of Silence is directed by Joshua Oppenheimer as a companion to The Act Of Killing. Through Oppenheimer’s footage of perpetrators of the 1965 Indonesian genocide, a family of survivors discovers how their son was murdered, as well as the identities of the killers. The youngest son, an optometrist named Adi, decides to break the suffocating spell of submission and terror by doing something unimaginable in a society where the murderers remain in power: he confronts the men who killed his brother and, while testing their eyesight, asks them to accept responsibility. Drafthouse Films releases the doc on July 17th. It first premiered at the Venice, Telluride and Toronto Film Festivals in 2014, and is a must see documentary. Still need to watch the first one, that looks incredible though. But brutal. I absolutely recommend it. It's easily the most memorable doc i've seen.